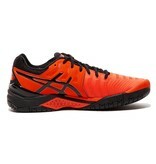 The Asics Gel Resolution 7 men's tennis shoes in cherry tomato red and black are built to last. 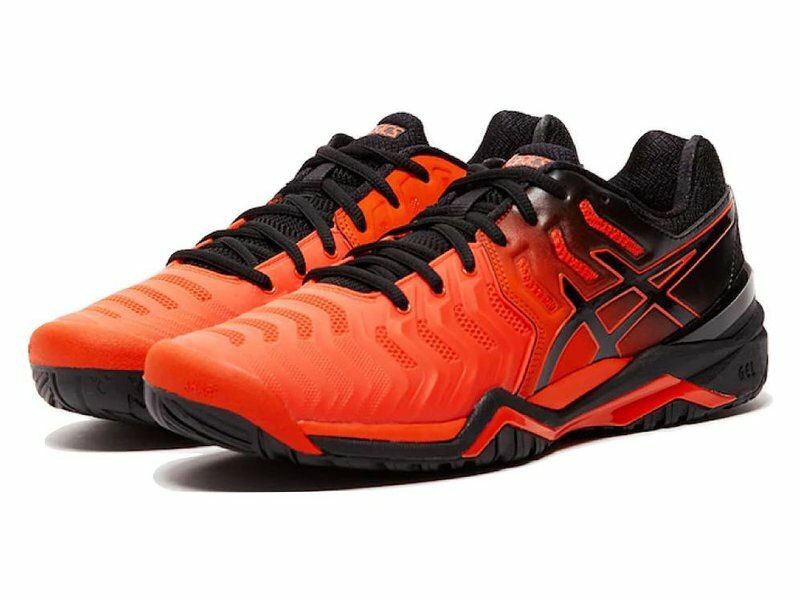 These durable tennis shoes come with Gel Cushioning Systems in the forefoot and heel to help keep your feet feeling fresh. 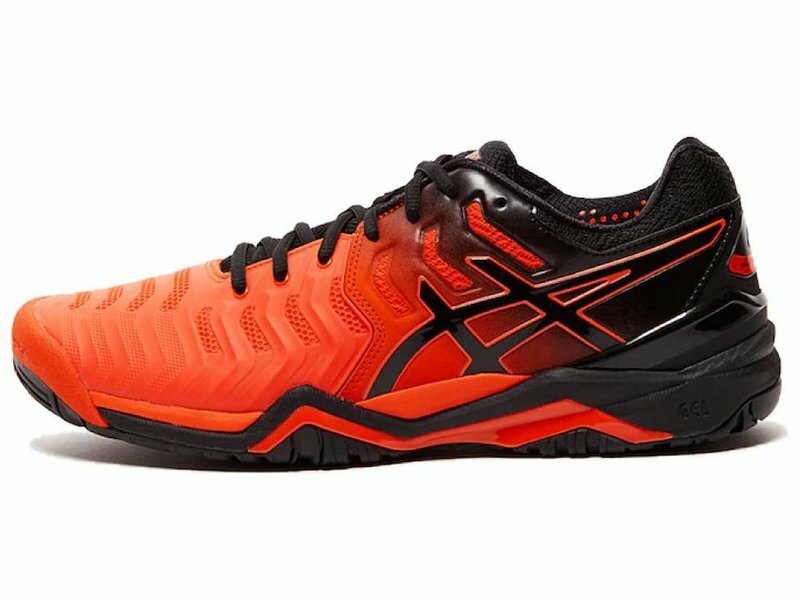 The Gel Resolution 7 also comes with AHARPLUS outsoles and PGuard toe protectors to ensure longevity and durability. 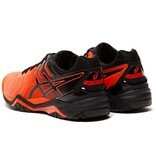 Solyte midsole cushioning materials help with impact absorption, further adding to the overall comfort of the shoe. 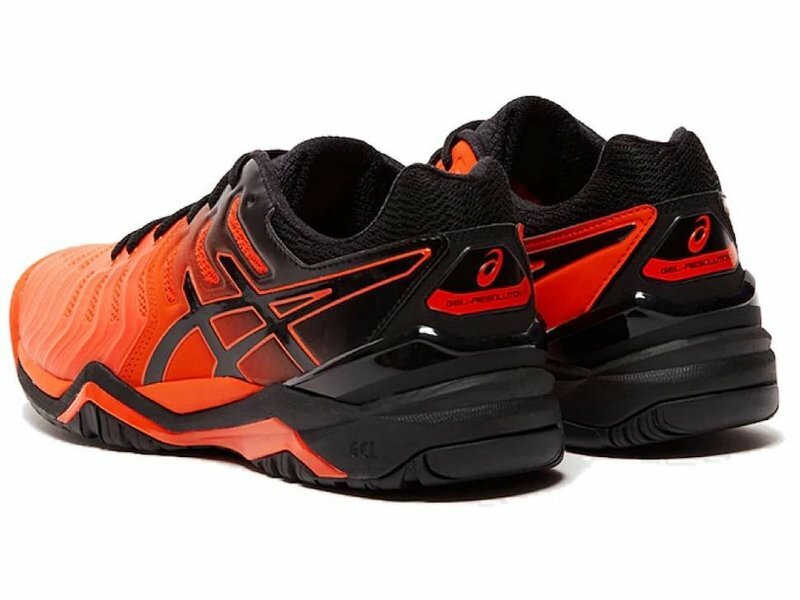 If you're looking for long lasting shoes that can take a beating, the Gel Resolution 7 is stable, comfortable and durable. 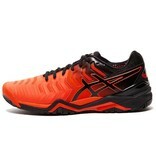 Worn by the pro's like Novak Djokovic and Gael Monfils, these shoes will take you as far as you can go. 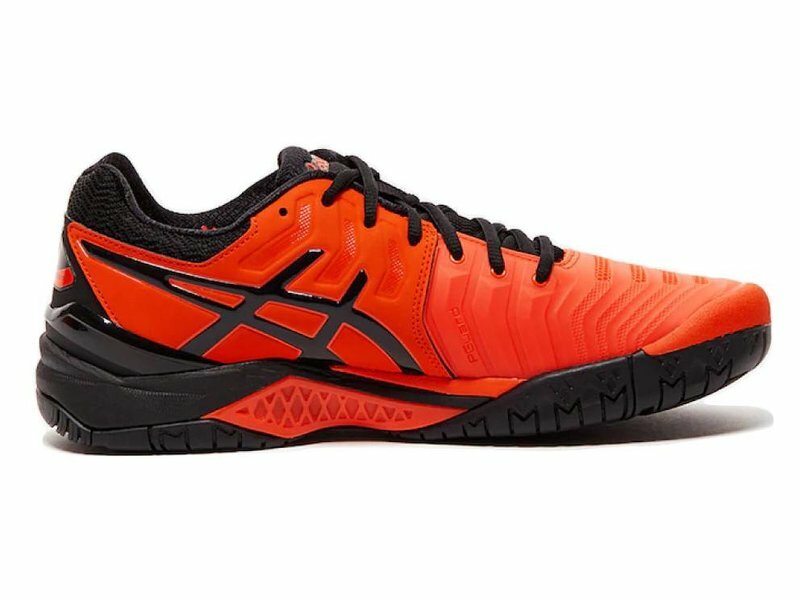 The Gel Resolution 7 also comes with gender specific cushioning to help alleviate pressure on the most common pressure points. 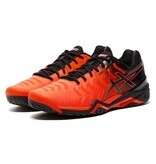 Upper: The upper comes engineered with Flexion Fit for a foot-contouring fit. The PGuard Toe Protector ensures overall durability for toe-draggers. 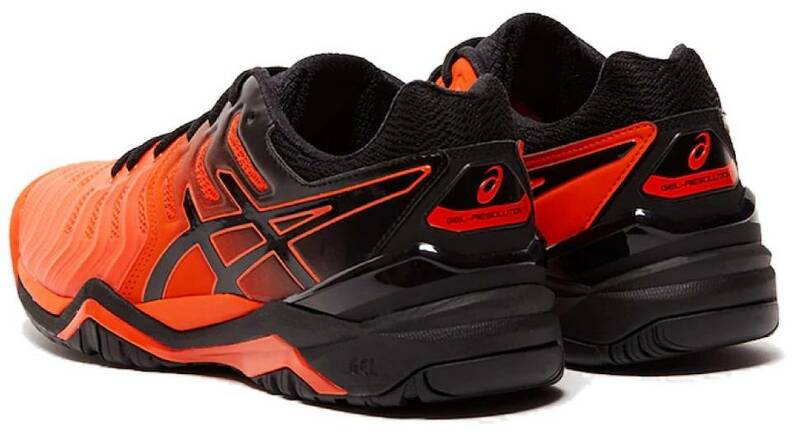 Midsole: Gel Technology Cushioning System gives the shoe rearfoot and forefoot cushioning for excellent shock absorption. 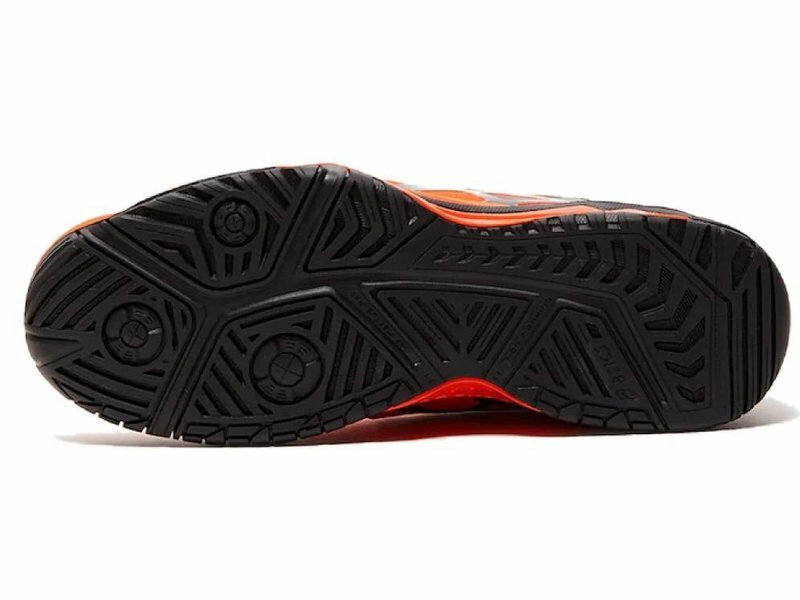 Solyte midsole technology also helps to reduce impact vibration and provides responsive cushioning. Personalized Heel Fit (PHF) incorporates a memory foam liner to give you a perfect form-fit around the plush ankle. 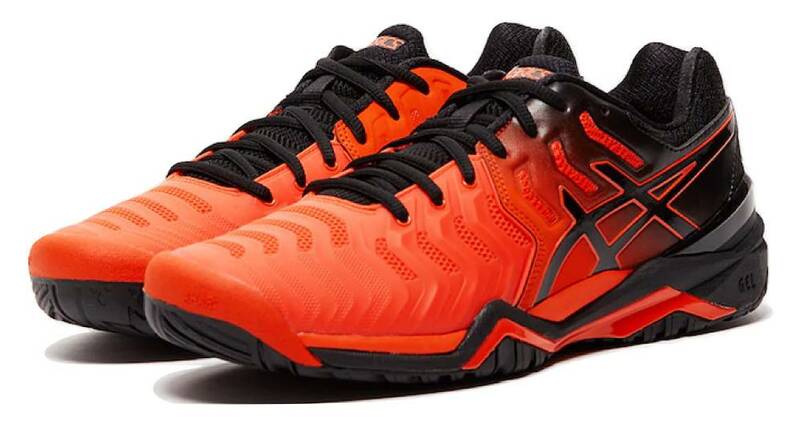 The Impact Guidance System encourages proper foot movement and placement on the court. 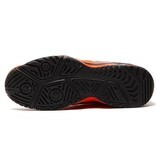 Outsole: AHARPLUS high-density rubber compound offers increased abrasion resistance for sole longevity. Trusstic System Technology provides a stable chassis to prevent unwanted torsional movement to keep you feeling secure and stable.